24 Restore is pleased to announce the addition of Paul Sheets as its new Senior Project Manager. 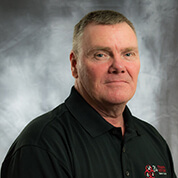 Paul is a well-known industry veteran with 37 years of experience, the last 12 of which were spent working for ServiceMaster by Gilmore. In his new position, Paul will be responsible for managing large loss damage projects from fire or flood. “Paul has nearly four decades of expertise in restoring properties, and we’re thrilled to have someone with such insight and knowledge join the 24 team,” said Dan Morse, President of 24 Restore.